Douglas fir oils have a variety of natural benefits, from easing lung problems to lowering heart rate and stress. For hundreds of years Northwest tribes have looked to this tree for a wide variety of construction and medicinal uses. From the pitch (Sap) and Bark, to the needles and fresh spring growth, this tree carries a host of benefits for the body and the mind. 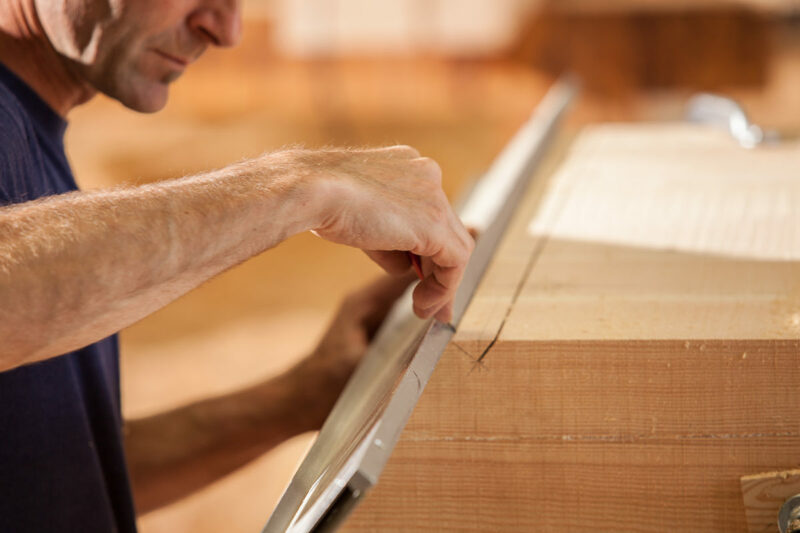 Researchers around the world have touted the benefits of natural wood construction, but did you know that there are a whole host of benefits, both physical and psychological, that occur when you live in a timber frame home? 1 cubic meter of timber = 1 ton of Carbon removed from the atmosphere! Trees store the carbon that they remove from the air, accounting for almost 50% of their dry weight. Wood is the only material that can clean the air and reduce emissions into the atmosphere. The carbon stays inside the wood, even after felling and processing. By using timber for your project, you will save even more greenhouse gases from the atmosphere. With significantly less processing and travel, the emissions are very low. Living in a Douglas Fir Timber Frame home will benefit not only the environment, but your overall health. It regulates humidity, acts as a natural insulator and is more fire-resistant! The insulation value from Douglas Fir timbers is over 300 times that of steel, and more than 10 times that of concrete. Timber frame homes are also more fire-resistant than traditional stick frames due to the properties of the wood. Once the timbers catch fire, they create a charred layer that reduces the speed of burning by insulating the timbers. 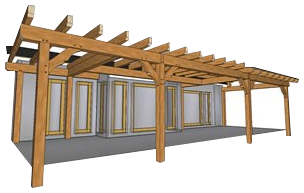 Timber frame structures have stood for hundred of years. They can withstand most weathering with proper care and can be constructed year round, rain, snow or shine!